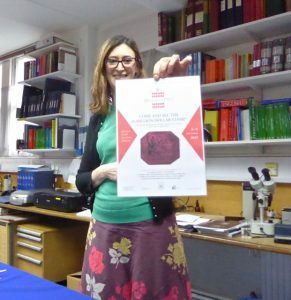 Last weekend to a free event celebrating Chinese New Year at the Royal Philatelic Society. 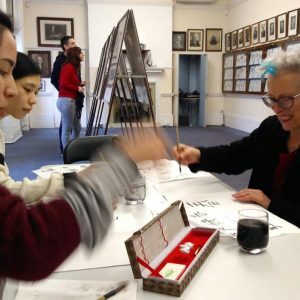 Disappointingly there weren’t many stamps on display – they’re very light-sensitive – but I had a chance to try some Chinese calligraphy. Hopefully this says ‘happy’. 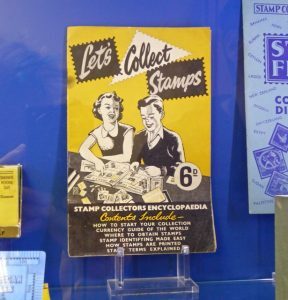 I learned that it takes about a month for the RPS committee to authenticate (or not) a stamp – there are a lot of forgers about – and saw a picture of the most valuable stamp ever. It’s the British Guiana magenta, and was sold for 10 million dollars. 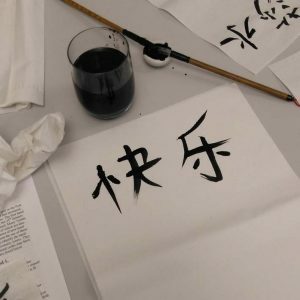 This entry was posted in Travels and tagged British Philatelic Society, Chinese calligraphy, Chinese New Year, stamp collecting, stamps. Bookmark the permalink.